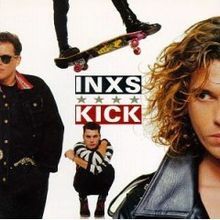 I can’t believe it’s 25 years since the INXS Kick album. I think it’s one of the best albums ever put together. For anyone in Australia with Foxtel, Music Max is currently playing all the video clips from that album right now. <added comment> I cannot begin to express my (anger/disappointment/feeling of being ripped off) by having to sit through as many ads on Foxtel as I do on free to air!!!! !